[An] abortion may be performed by a licensed, certified, or authorized practitioner within 24 weeks from the commencement of pregnancy, or there is an absence of fetal viability, or at any time when necessary to protect a patient’s life or health. The city was suitably dressed—after all, slaughtering the innocent is a festive occasion. 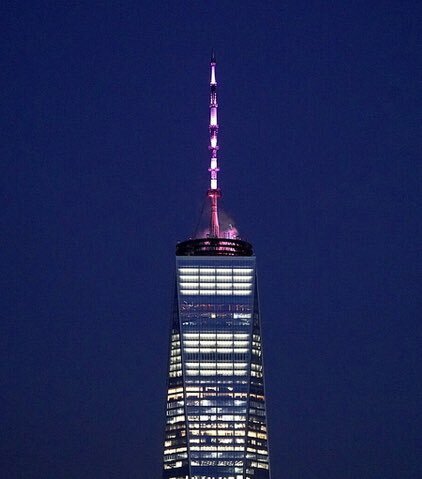 One World Trade Center in New York City, NY — the centerpiece of the World Trade Center complex — was illuminated with pink lighting to celebrate the Empire State’s passage of legislation designating abortion a “fundamental right.” Gov. Andrew Cuomo (D-NY) directed authorities to use pink lighting to laud New York’s new abortion law.